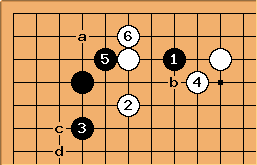 With the marked stone in place, the followups after are different from the usual joseki. Black will usually invade at a. If not, then white can easily settle the group by playing b. 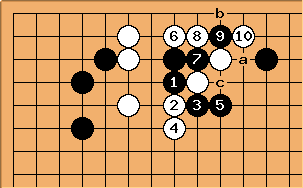 Black can move out this way (black a, white b, black c follow). White can also attach underneath black's invasion stone. 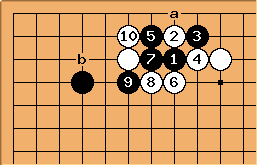 This is one possible continuation (black a, white b follow).